ARRI really outdid themselves with this one! We bought 4 of these heads the same day they were announced. 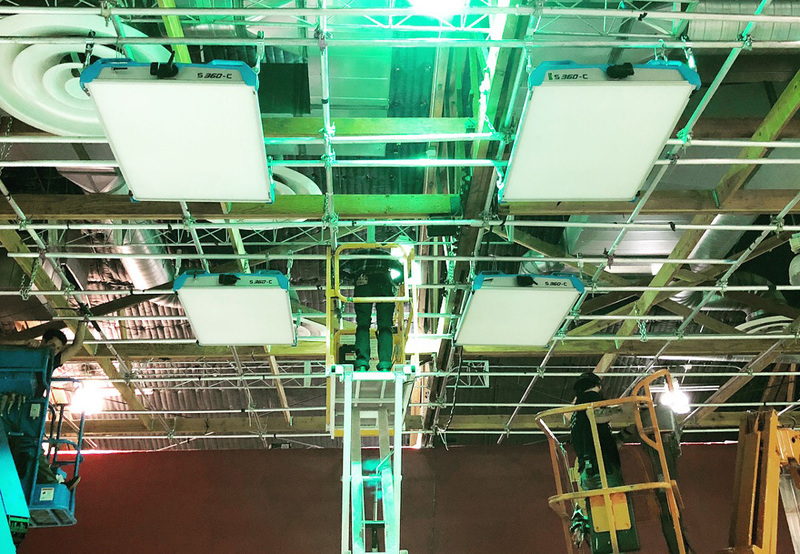 After working with these units in the field, the S360 has proven to be an extremely efficient tool that caters to an incredibly diverse range of lighting scenarios. 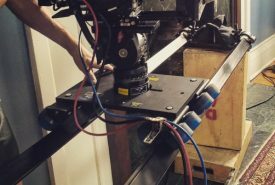 We also worked with Innerspace Cases Co. to create a case design that was more sturdy and compact than the standard cases sold by ARRI. 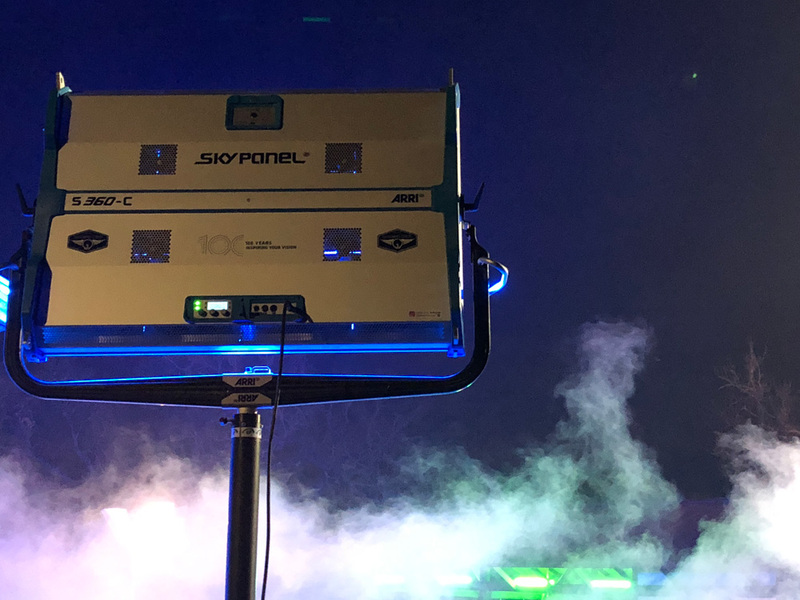 Our SkyPanel S360 kits include a DOP SnapGrid, intensifier and short yoke fitting in a case small enough to fit into elevators and through narrow hallways with ease. 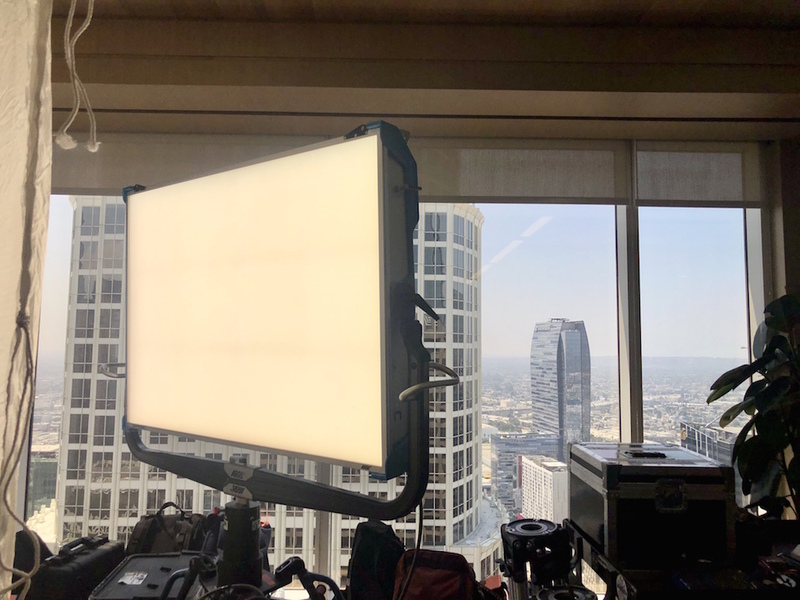 On a recent commercial for LinkedIn, we were on the 23rd floor of an upscale building in downtown Los Angeles. Our lighting package consisted of 4x S360 SkyPanels, which gave us enough firepower to compete with daylight pouring in from the windows, while running solely from horsepower. The S360 packs the equivalent of 6x S60 heads into one. For a sense of scale, here’s a shot of an S60 with the diffusion removed (2x RGBX panels). 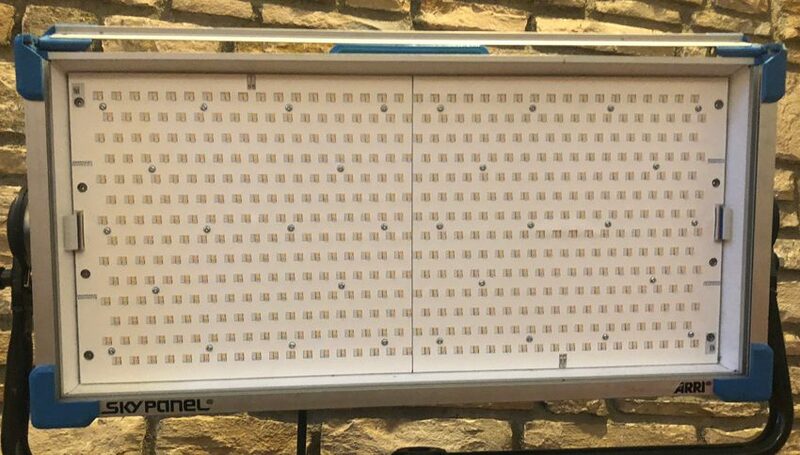 That means the LED array of one S360, consists of twelve panels that can be both pixel mapped or controlled independently. 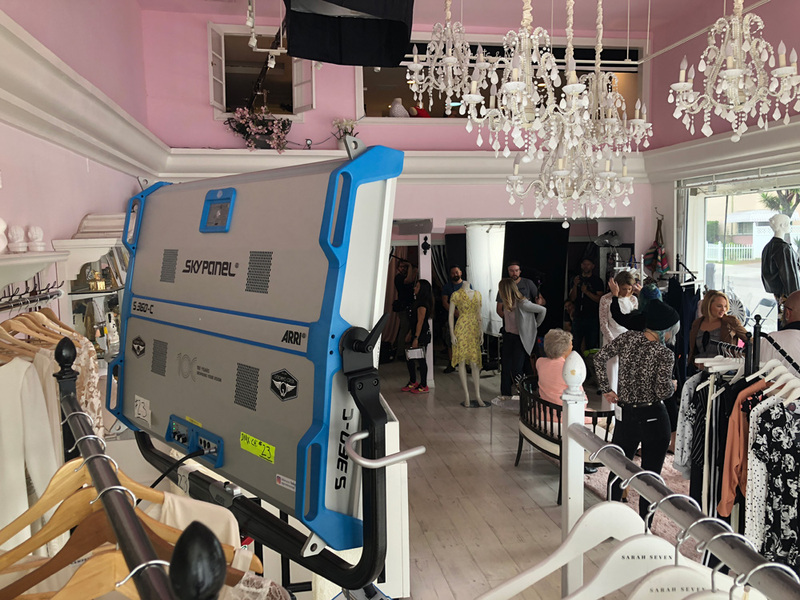 The multiple panels improve the quality of some of ARRI’s onboard effects as well, giving the stores and chases more complexity. Each unit includes built-in wireless capabilities and is fully compatible with RatPac’s Cintenna series (Lumen Radio) hardware. 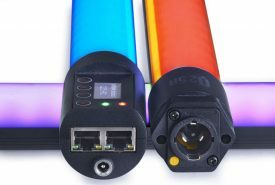 We also carry RatPac’s full range of DMX products as well. 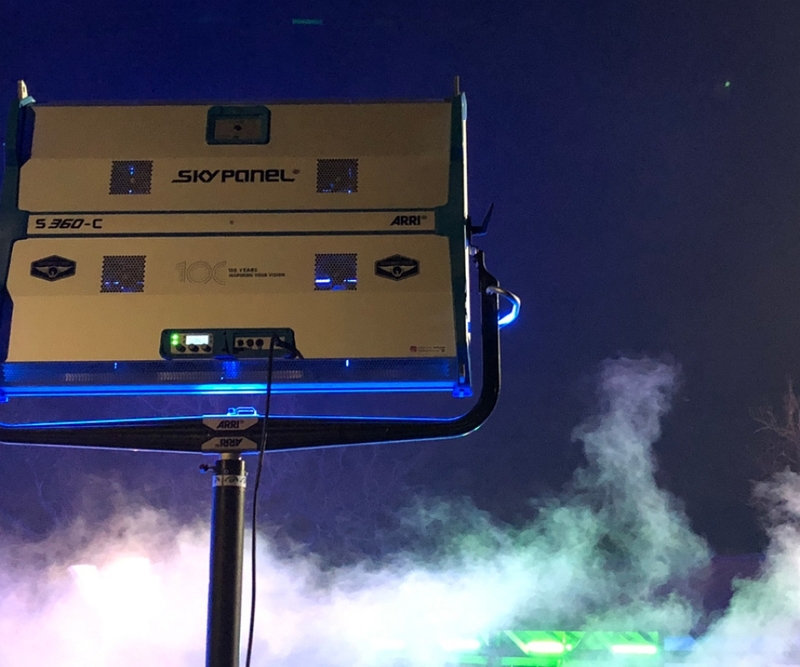 If you need DMX control of your LED package but you don’t have a programmer on your crew, we also offer a full range of simplified lighting control options including Luminair 3, ARRI’s new iPad app, Stellar and the ETC ColorSource40 console. 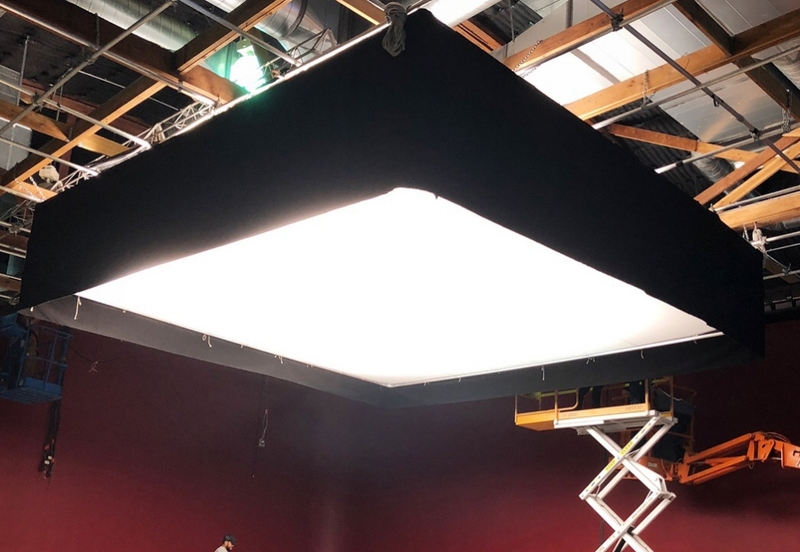 The ColorSource series desks (worthy of a separate blog in itself) are a well thought out design, perfect for controlling a small LED package on set. The S360 is also great when used inside large soft boxes. The 20×20 soft box below utilized 4x S360s. 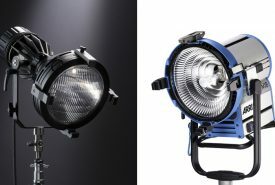 The ARRI S360 weighs 85lbs, which seems like a lot for an LED head. But when compared to the equivalent 6x S60 SkyPanels (25lbs each), one S360 head is half the weight! 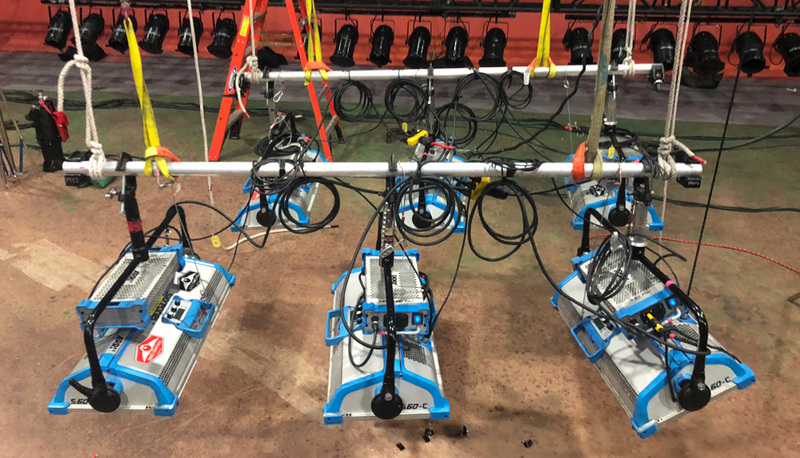 It also is also cheaper to rent (compared to 6x S60 heads) and can be rigged in a fraction of the time. 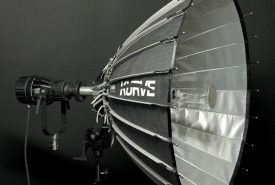 For example, the rig pictured was for an 8×8 soft box. This array has the same punch and spread of one S360, but weighs in excess of 170lbs (including pipe). 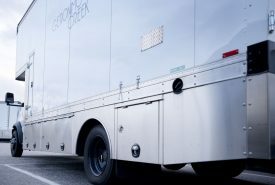 For larger rigs, S360 is typically a more efficient option when given such a scenario. 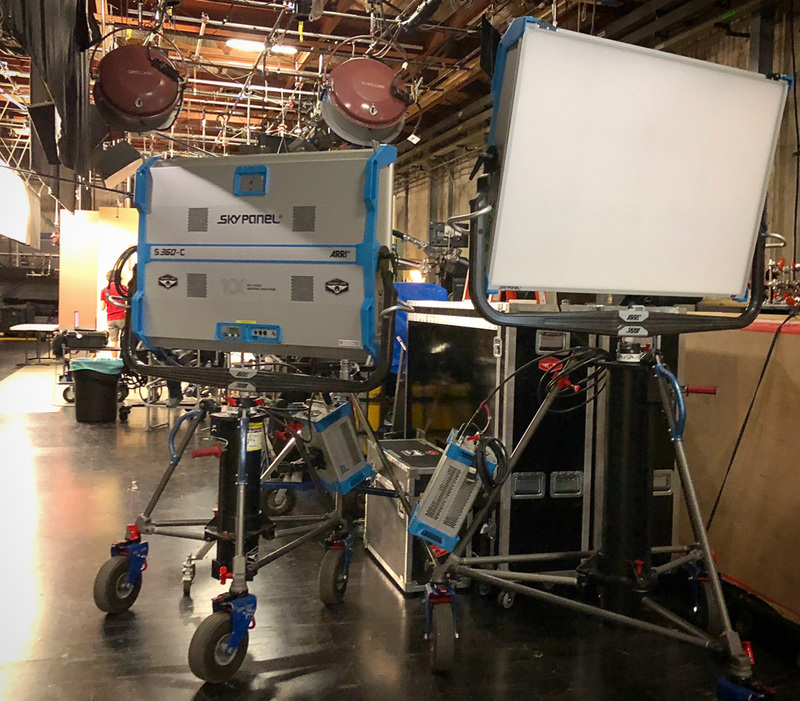 To get the same output in S60s, our crew would’ve had to rig 24x units overall – an endeavor that would have proved to be much heavier in terms of both labor, weight and the rigging hardware required. Contact us for a free demo! Click here for ARRI’s Data Sheet.